Monday is a holiday which means next week is a four day work week. We just had Easter weekend which gave us 2 four day work weeks back to back and I loved it. Have I said that we should have more four day weeks? Tonight’s Lotto Max has an estimated jackpot of $36 million having been rolled over from last week. Oddly enough, the 6/49 was also rolled over last week – no winning ticket was sold – but Wednesday saw the $11 million divvied up between three winners. That means the 6/49 is back to square one and Saturday’s 6/49 jackpot is a paltry three point five million. Paltry… like that? I grew up during the 50s and 60s and back then, fireworks were more a thing of Victoria Day than Canada Day. I have watched this change over the years so that now, if one thinks of fireworks, one thinks of July 1. May 24 has been relegated to the history books. A little investigation though found a few places will supposedly be setting off some colourful explosions. Canada’s Wonderland is planning a show for Sunday, May 22nd at 10pm. 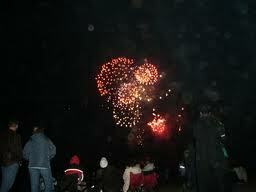 Ashbridges Bay is scheduled to set off some fireworks on Monday at 9:30pm. Oddly enough, Ontario Place is not doing anything. Normally the park opens earlier but this year, it’s opening on the 21st and there are no plans for fireworks. Queens Quay Terminal and the surrounding area is playing host on Monday to some free pirate-themed fun ranging from face-painting and crafts to performances by magician Zoltan the Adequate Pirate and man of daring-do Long Jon Strong. All weekend, Harbourfront Centre has circus-themed performances and activities for all ages. Since the Harbourfront Centre is right next to the Queens Quay Terminal, on Monday you could do the circus and the pirate themes in one trip. On Monday, May 23rd, Fort York will be open from 10am-5pm for Victoria Day Celebrations and the Gibson House will be celebrating the Queen’s Birthday from noon-5pm. Montgomery’s Inn is having a Victoria Day Tea and Tour on Monday. Toronto.Com has a complete listing of weekend events. What? According to the Toronto Blue Jays web site, they are playing the Astros three times this weekend: Friday at 7pm, Saturday at 1pm, then Sunday at 1pm. Really. Is that right? Gawd, talk about getting your fill of baseball in one (long) weekend. Check out Toronto’s web site for information about this up-coming weekend event. I’ve been out a few times and it’s a great way to get in to see some buildings that normally may be off-limits to the public. Our city has a number of interesting places so why not check out what’s in your own backyard? The web site has a short video highlighting some of the buildings you may or may not be familiar with. Plus, there’s a comprehensive list and a map of where they are. Be there or be square! Victoria Day (in French: Fête de la Reine) is a federal Canadian statutory holiday celebrated on the last Monday on or before May 24, in honour of both Queen Victoria’s birthday and the current reigning Canadian sovereign’s official birthday. It is sometimes informally considered as marking the beginning of the summer season in Canada.